It’s first week of July and time for Almedalsveckan in Visby. 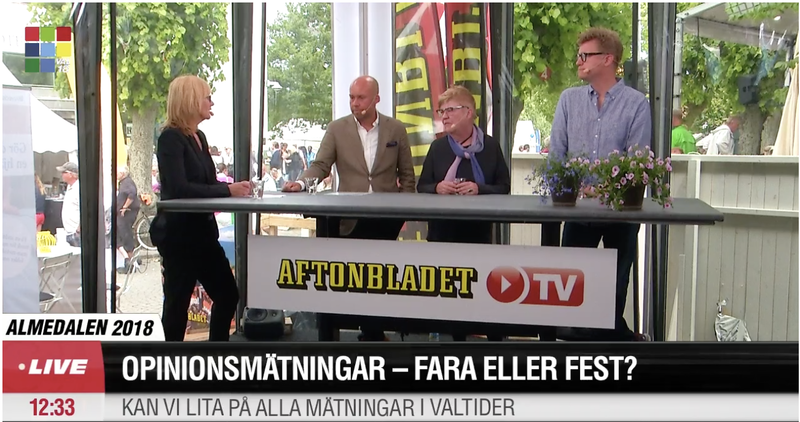 Odyssey is of course present and today our founder and Qogai CEO, Tobias Sjöqvist, participated in Aftonbladet’s interesting panel discussion on opinion services, their importance for political parties and media, and their impact on the voters’ decision making process. Tobias also talked about how our report Why-u-vote is an interesting and important complement to traditional surveys.